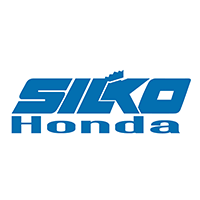 When it comes to servicing your Honda, the team at Silko Honda knows you have choices. That’s why we strive to set our service department apart. Between Honda-certified technicians and competitive service deals, we can get you the service your exact Honda model needs for less. What types of service do we offer, you ask? Here’s a rundown of all we can do for you. The most important aspect of keeping your vehicle running like it did when you first bought it is, of course, maintaining its health. But knowing what your vehicle needs and when can be difficult to track. With our vehicle maintenance guide, you’ll get a sense of what types of service your vehicle requires, what different warning lights mean, and what you can do when your battery is depleted. Our technicians can also handle your routine oil changes and regular tire maintenance. Whatever maintenance requirement pops up, you can rest assured that Silko Honda has it covered! Whether you’ve discovered a major leak, your transmission isn’t functioning properly, or you’ve been in a major collision, the service department at Silko Honda has the tools necessary to return your Honda model to working order. Our technicians will work diligently to restore any broken parts you encounter, but if a replacement is necessary, we can easily turn to our store of genuine Honda parts to find exactly what fits. The best part is, any replacement part is backed by a one-year warranty. Likewise, if your car has been damaged in a crash, roadside assistance through the Honda warranty program ensures that you’ll get a tow without any hassles. And when your vehicle comes to us, you know it’s in good hands. Why Choose Silko Honda for Auto Service? Why should you choose Silko Honda for your automotive service needs? The answer is simple – not only do we use authentic Honda parts, but we also are committed to your utmost satisfaction. That means our work isn’t done until you’re completely happy with the final results. Plus, we conduct all repairs and service covered by Honda warranties, so we serve as your one-stop shop for all things Honda. Feel free to schedule your service online so that we can get you in, out, and back on the road quickly and painlessly. Otherwise, you can contact our team if you have questions about our service offerings or procedures!